Are you new to Aquarium Advice? Post here and tell us a little about yourself and your interest in the aquarium hobby. Posts that do not fit elsewhere but are related to aquariums and fish keeping in general. This forum is not for chit chat. Photo of the Month, Tank of the Month, and any special contests at Aquarium Advice can be found here. Have a question about some hardware/equipment? Want to tell us about the equipment you're using in your tank? Here is the place to do it. Have you built something for your tank or are you considering it? Have a question about taking pics? Just got a new camera and not sure how to get the most out of it? Of course sometimes we just want to show our tanks off to the rest of the world. Got something new? Just want to impress us with the beauty of your tank? Post it here. 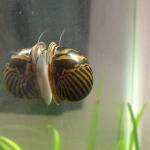 Get something new for your tank? Wana show it off? Post here and it might just wind up on our Newsletter. Posts can be about anything including non tank related items. So you finally decided to take the plunge. Now you're not sure what to do. Come on in and ask away. The only dumb question is the one you don't ask! For questions regarding SW fish only systems and fish only with live rock. Are you in the need for an Aquarium Doctor? Well, none of us are Doctors, but we can sure try to help you out. Do you have something growing on your rock? Something new in your tank that you have never seen before? Come in and post a photo. See if we can ID it for you. Answer the age old question....does size really matter? Discussion for the small scale reef aquaria. Nano tanks are considered anything less than 30 US gallons/115 Liters. This is a forum for you to showcase your saltwater tank. Show us your tank, show us your equipment and inhabitants and tell us how you do it. 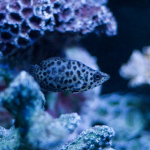 Post your profile of a specific Saltwater Fish or Coral here. 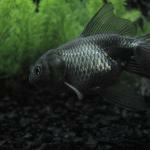 Post your questions, realizations, or just general thoughts on the subject of Freshwater aquariums. Does a disease have your tank in a rut? Well come on in and let's see what we can do. Discussions on breeding freshwater or brackish fish. Discussions about coldwater and native fish in aquariums, pond and water garden settings. Goldfish and Koi topics belong here. Forum specifically focused on freshwater invertebrates. This is the place for species specific questions & issues, and a place to discuss invert specific habitats, as well as inverts as they fit into the larger picture of community freshwater aquariums. Frogs, toads, newts, salamanders, caecilians and Amphibian care. Discussions about aquatic snakes, turtles and other aquatic reptiles. Aquatic gardens and aquascaping. Tips, techniques and discussions on the practical and artistic sides of planted aquariums. Topics and questions specific to cichlids. Show us your tank, show us your equipment and inhabitants and tell us how you do it. Post your profile of a specific Freshwater or Brackish fish, invert, or plant here. Buy, Sell or Trade is the name of the game. If you have something you want to sell or you're looking for something to buy and can't find it (locally or online) then post your request here (Member to Member offers only). No commercial sales please. This is a forum to give feedback on trades and sales from individual hobbyists. Any feedback pertaining to a place of business should be posted in the General Retailers forum. Retailers that offer a wide range of products for our aquarium needs. Post here if you have strong feelings about a particular store. Good or Bad... Just make sure the statements are factual.